Electro , what is it, and its history with Satamile Records. Almost everyone in electronic music has heard of Kraftwerk, and it really was these Germans that set the DNA for which the genre of Electro would spawn in the years to follow. Electro during this time in the USA was more breakbeat oriented with a multitude of them coming out of NY, and later Hip Hop (much slower tempo) spawned partially from Electro. Much of the main inspiration came from Kraftwerk during its US tour at this time, early eighties. This DNA consisited of some certain defining charachteristics such as, Synthesizers, Sequencers, vocoders of which at this time were all analog. For gear, think Roland-909,808,606 (little electro firecracker), Oberheim, Doepfer, Juno-106 and Akai samplers. Another main characteristic to define Electro was its heavy endeavor to Science Fiction or "into the future" characteristics. Its important not to confuse Electro with Synth Pop, New Wave , Industrial or breaks, these are all seperate genres defined by their own unique DNA and fans (Ecspecially Electro House, and ElectroClash, both of which are not Electro). So in short, think pop-in and lock-in robots, on the Enterprise as they break it down for their head-spins into the future Galaxy. Satamile Records was born out of the Rave scene of the very early 90's, which in itself had qucikly adopted the Electro genre for the rave Events giving a boost and creation of countless Electro labels, that only released Electro. We are sort of a new Electro or hybrid electro is some case's taking the best from the past and creating a bigger and fuller sound for the times. We also really owe alot to Ravers and Promoters during this time, for their open minds ,DIY ethic and sharp foresight into "Whats Hot". It was these pioneers that supported so many new underground genres, such Breaks, Techno, Electro Tekhouse, Dubtek (Minimal) and Ambient (IDM) and NOT the major label executives in their cushy offices so you really have to give a bow to the first wave of ravers and the promoters,,,the best music entrepreneurs of their time. Many labels today simply would not exist today if these people did not support the music and the politics of Law did not stop these events from happening. 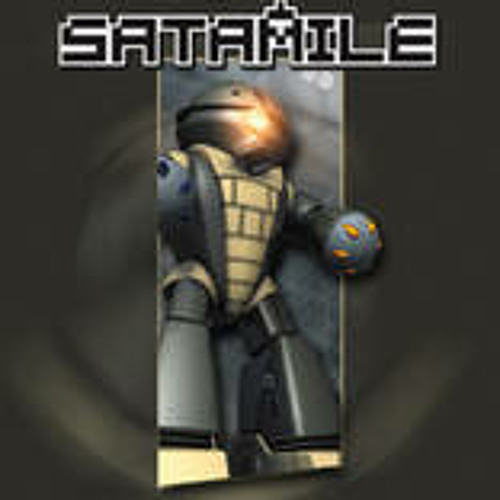 In our early years Satamile was will on the way with its involvement in Electronic music production and live performance . We were a consistent presence in the NY underground scene and alternative Club scene. Performing live with Modulars and drummachines, Dj'ing, throwing events, sponsoring Graphic artist for flyers, all of which re-presented in some way the new electronic culture. Hosting nights at Filter 14 (Jacky 60), The Cooler, Baktun, The Kitchen, Gas Station, Robots, Open Air, and many more. We have produced over 400 Club events in NY city for artist such as Ellen Alien, ADULT, Monolake, Pole, Schematics, Tipper, Mixmaster Morris, Andrew Weatherall, Keith Tenniswood, Mark Broom, Orbital, Keith Tucker, and many more. Staying true to its nature Satamile allways pressed Vinyl along with its CD release's. Vinyl is a superior medium, and the taste of DJ ' worldwide for its superb qualities and usability. We had CD's in the early 90's , but who wanted to play them, when you cold play vinyl instead, it was so much cooler than a CD, it spawned Train Spotting, and was far better for dj'ing. Toady most of our vinyl is pressed at Brooklyn Phono, 225,000 pounds per square inch. This is still true for today so buy vinyl when you can it rules the night waves and you wont have to worry about your computer crashing on Final Scratch. Today satamile exist as one of the leading Electro labels in the world with over 25 artist from all around the world on the label it will be coming up on our 60th release shortly. Along with the main label Satamile we also have sub-labels, Bot and SatRX to serve different purposes, Bot for downtempo projects, and SatRX for remix's.